After the unforgettable summer in Denmark and Australia i enjoyed the winterbreak even more than the years before, before i started again with serious, planned training. By the will to do supporting exercises for my shoulder i unfortunately carried away an inflammation. After several weeks it was gone, but the impingement stayed.Through this my preparations were limited. The first action this season was the Sports Gala at Bremen. With this devious election i learned very fast, that the athletes with the biggest club in their background respective the ones who were supposed to, would win. Outsider, even with top (and better) results had no chance against politics. Nevertheless it was a funny and entertaining evening, ending with Gerhard's proposal in a wonderful way, and couldn't be topped by anything. Several people complained that they were not able to train during winter. But it was kind of normal with that hard winter, so BMX-riding became something strange to most of the germans, "no BMX training" nothing unusual also in spring. So it was that i had only one time to get used to my new 2010 Rwedline Flight Series bike on the track, before the first race took place at France. With wet conditions and very upgradable gates i could be happy with my fitneß, i rode one of my best races. 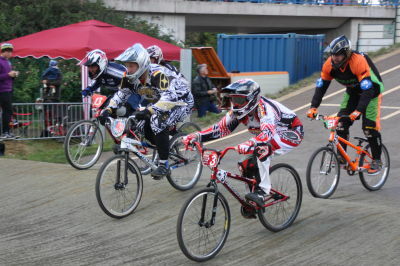 The season continued on german ground with national races at Bremen and Ingersheim as well as local races. On national level sometimes i raced with the men 30+, and this was a good competition. Very special with them is, that with most of the men it's a honest dealing in prestaging (there are exceptions as everywhere). 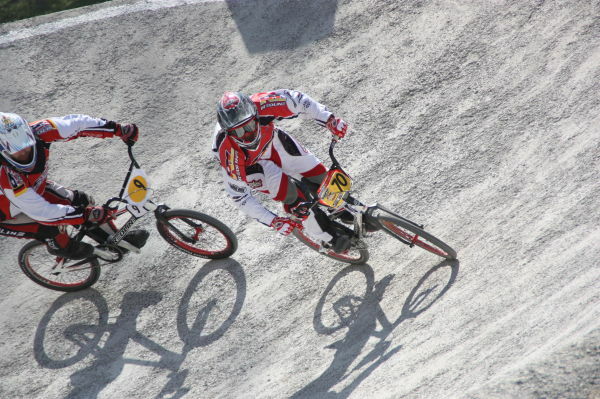 In some of the hot fighted races i managed to reach the main final, i was always more than happy with that. 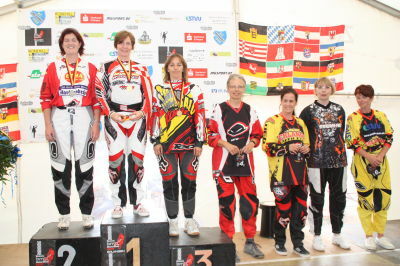 Especially because at Weilheim i missed with 4th places only close the podium, sunday after heavy rains. 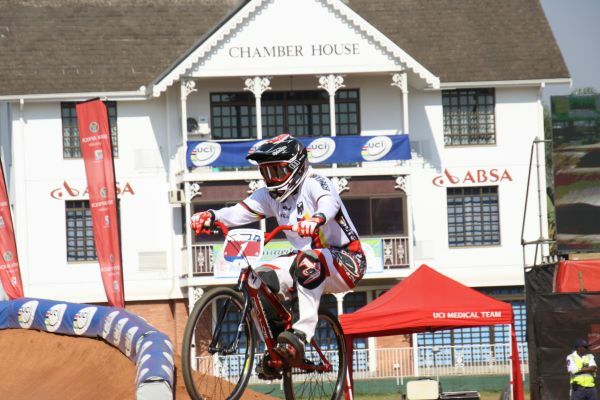 At the international races at Weiterstadt and Valkenswaard i learned the downside of the Nr. 1 plate on my bike. The gates had just dropped, and i was blocked immediately, showing all of my abilities and skills was almost impossible. But at least on sunday at Weiterstadt everything worked great and after a 5th place i was able to take home a win, i'm very proud of that. At Valkenswaard however i was on the way with some insanes, finishing my weekend with a 6th and finally with a crash, because another competitor cut me off while riding over a jump. I/ my body longed for a break, but a week later the german championship was scheduled. In Cruiserclass i was able to take home my 10th title, while 20-inch was hard against the men. With 6 in a tough group i had finished after motos, and i watched the rest of the day and cheered for my favorites. One week later, after a good friday's training session i was looking forward to the races at klatovy, but - my body took the long overdue break, because with positional dizziness i was not able to compete. After long considerations if i'll take the 20-inch bike also to the worlds or not, i decided right before the deadline for the small bike. Because, at least i got this nice ride sponsored from gOrk (Redline Headquarter) and felt a bit obligated to get on the gate with it. the pgysiotherapy in spring felt and did well, but lost it's effect during the summer heat with it's many training sessions, what meant fighting the impingement started again, also during the african "inter" temperatures. Training in the week's beginning went really well, i felt really good at GibaGorge as well as on tuesday's nationstraining. After a Die Trainingseinheiten zu Wochenbeginn liefen super, ich fühlte mich in GibaGorge sehr wohl und auch am folgenden Dienstag im Nationentraining. After a sickly night wednesday was not round, but i still could better my tecnique. And the evening with the preannounced presentation of the champions of the year before was mine, even though communication to me was bad and late. but - bad luck if i got the information already 2 day before from another source. Friday was once more under the motto beeing blocked. 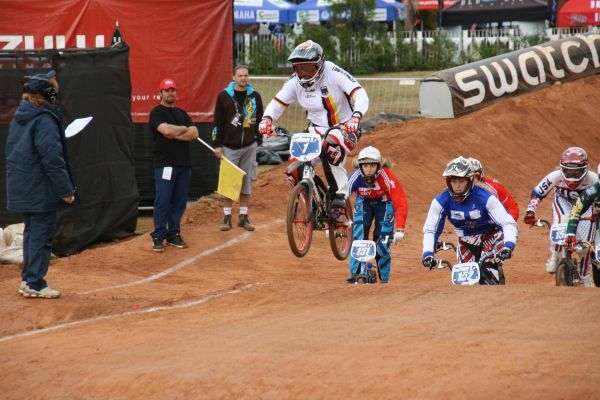 During the final which i had reached easily i was blocked from the first jump on this power-oriented first straight. i had to put back more than once. 2nd place was still a great result against between all these 17 - ca. 25-year old girls/ women. Beeing blocked all the time is annoying, but on the other side a huge compliment. Because, how much respect or even fear of a 40-year-old do peolpe have, if this is the only way, battleline from start to finish? On saturday during breakfast i felt some energy coming back into my body and was looking forward to the last 2 days of this year's worlds: watching championship classes completely and of course my cruiser-race. On a very sunny sunday i rounded another superb Worlds-result with another title in cruiser, even though the younger class was riding with us. After a nice stay including a Safari we soon went home again. Mit den Bundesliga-Runden in Kolbermoor ging es weiter, und hier durfte ich dann gegen die Männer fahren. Platz 2 bei den Cruisern war ein gutes Ergebnis, und am Sonntag gelang mir dies auch in der 30+ auf dem 20er - mein erster Pokal in dieser Klasse ! In Cottbus war die Beteiligung mindestens genau so schlecht, so dass ich abermals bei den Sen. 3 mit an den Start gehen musste und wieder an beiden Tagen als Zweite auf dem Podest stand. In der Cruiser-Rangliste konnte mir die Führung schon vor dem WE nicht mehr genommen werden, aber ich wollte trotzdem sehen, was 2011 für die DM auf mich zukommen würde. Interessant ist glaub ich ein treffendes Wort. Zum Saisonabschluß gab es neben dem Open-Race in Weiterstadt auch noch ein paar Rennen zum Württemberg-Cup, die ich zum großen Teil auch bei den Männern absolvieren musste. In Ingersheim war es mit Nudeln im Bauch zu Beginn etwas beschwerlich, aber dennoch langte es wie in Kornwestheim in der Woche zuvor zu einem Sieg. Danach kam dann aber erstmal der 14.10. 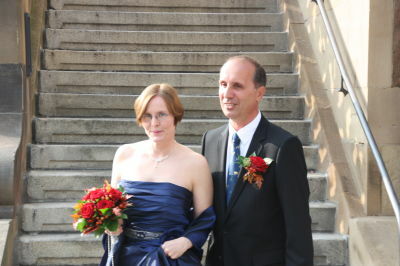 - Gerhard und ich hatten einen Termin beim Standesamt und heirateten. Es war ein sonniger Tag, gefühlt der letzte sonnige Tag des Jahres (zumindest in Deutschland) - unsere Termin-Wahl war äußerst gut ausgefallen und der Tag von früh bis spät nahezu perfekt und wunderschön. Zum Saisonabschluß ging es noch nach Nussdorf, und der Regen und kalte Wind auf dem Hügel waren alles andere als motivierend. Fast zähneklappernd ging es für die meisten in die Rennen, und nach ein paar Fights errang ich - nun als Frau Meyer - auch hier den Sieg. Am Sonntag dann entschied ich mich beim Aussteigen aus dem Auto entgegen meines Vorhabens gegen das Rennen, der Wind war noch kälter geworden ! Dennoch wurde mir in der Endabrechnung der Pokal für den Seriengewinn überreicht. Mit der Vorfreude auf eine schöne Urlaubsreise ging es in die Winterpause, und mit Erholung unter der Sonne Kaliforniens war die Motivation für planmäßiges Trainig auch wieder aufgetaucht. Insgesamt waren schon 249793 Besucher (1018089 Hits) hier!